The Internet is an incredible thing - allowing us to communicate, connect, collaborate, learn and share with people all over the world. However, there is also the dark side of the internet - predators, scams, and more. Our students use the internet at home, at school, and all around with their mobile devices. Simply blocking certain types of web sites is not the answer to protect them. We need to teach them how to use the internet responsibly and how to be safe on the internet. Make Use Of, a great resource in itself, has listed 6 online safety games that help kids learn how to be safe and smart online. They include: Webonauts Internet Academy, Safety Land, Internet Safety Hangman, Iggey and Rasper's Internet Safety Game, Anti-Phising Phil, and OnGuard Online. These games are a great way to teach kids about internet safety. Digital Literacy is an animated, interactive web site that teaches students about digital literacy, safe use of the internet and more. The site is hosted by the Northwest Learning Grid. The site is beautifully designed with swirling graphics and minimal menus. It starts by asking the student to select one thing that they do on the internet. 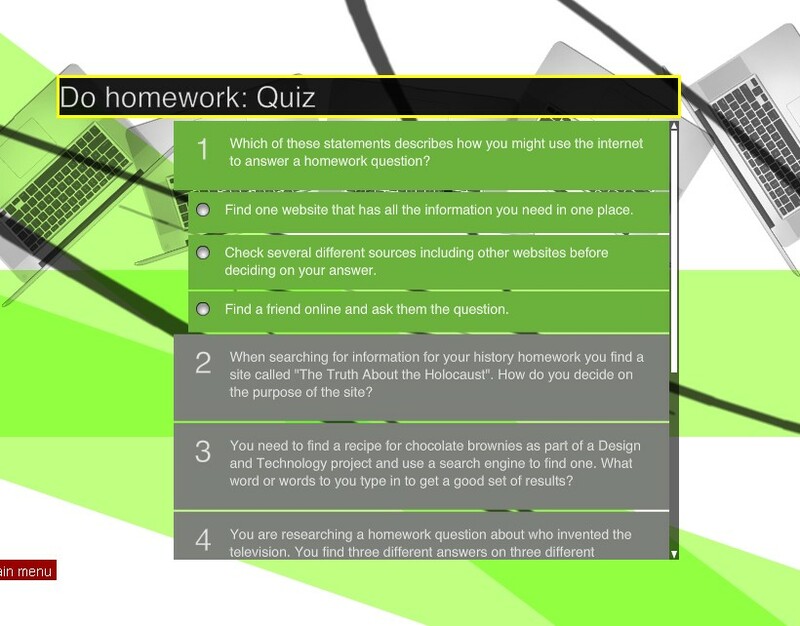 It then brings the student to a quiz about using the internet for that task. 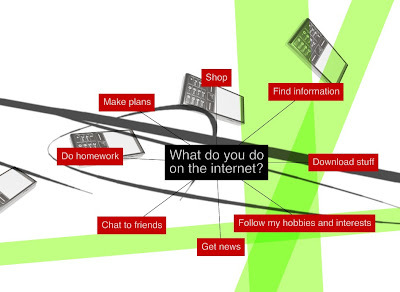 The quiz asks some really good questions about the internet and it's usage for the task it selected. The site then "grades" the quiz with some feedback and brings the student to a menu of tutorials about internet use. Some of the tutorials go over analyzing web sites and blogs for relevancy, accuracy, and objectiveness. I found the site to be fun and easy to use with some great information for students. We need to teach our students safe, responsible use of the internet, not block it.